Responsible in Coordination of the yearly Sales budget and business plan process for the Company and its dealer network and monitors it on a monthly basis, Assistant to dealers in developing and implementing fleet sales program, wholesale and retail financing programs, Coordination of the yearly Sales budget and business plan process for the Company and its dealer network and monitors it on a periodically basis. Support and give consultations to dealer to ensure its dealer performance. An After-Sales Area Manager is required to support dealers to maximize the satisfaction of the Mazda vehicle owners and to expand the dealers’ business opportunities. The person must improve the dealers’ after-sales service operations and increase parts and accessories sales in cooperating with dealers. 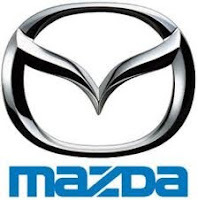 This job also requires development of the after-sales marketing and parts logistics, and assistance of technical quality assurance to Mazda dealers. Excellent skills in presentation and reporting are required. All applications will be treated confidentially. Interested candidates shall submit an applications and detailed resume stating the relevant information including current and expected salary and the most updated photograph at the latest two weeks after this advertisement to: hrd@mazda.co.id or Address to PT. Mazda Motor Indonesia, Menara Standard Chartered, 17th floor Jl. Prof. Dr. Satrio No. 164, Jakarta 12930. For detailed information, please refer official source on following link below.